Ok welcome to lesson 4 on equations. This is the lesson where we put everything we learned about equations together so we can solve any equation. Of course it would be nice if most equations we had to solve were one and two step equations. For sure you need to master these basic equations for the GED. However the reality is most equations we face in algebra and beyond require multiple steps. Before you start this lesson make sure you understand the distributive property as we will be using it a lot to solve multi-step equations. 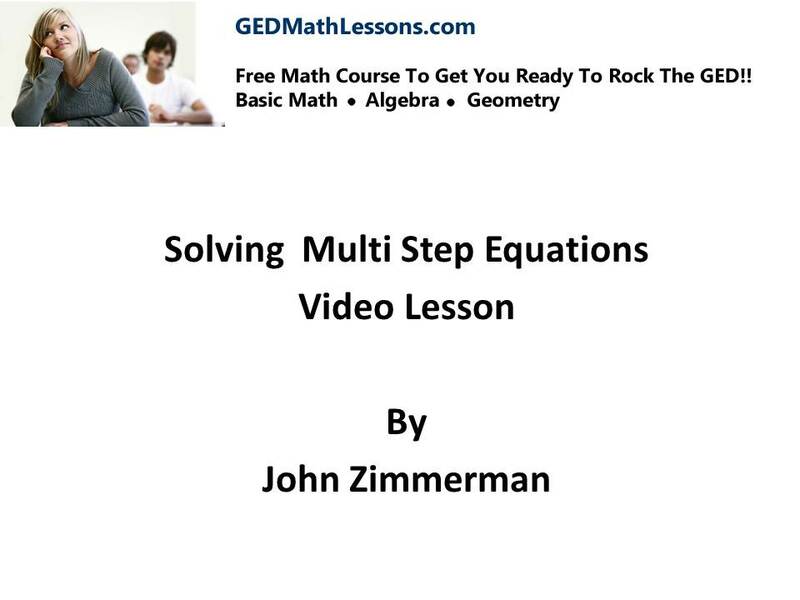 Now that you know how to solve equations and find a numeric solution, the next lesson will be about equations that solve for another variable- this lesson is a little difficult for most students..